Play 1-2-3 Bingo!™ online for free now! With 1-2-3 Bingo!™ you play on up to 6 available Bingo tickets. In each game 30 balls are drawn at random from 50 balls. With a little luck you can reach the Extraball-Mode during a draw and buy up to 11 more balls. You might also hit the jackpot and will be crowned Bingo champion! 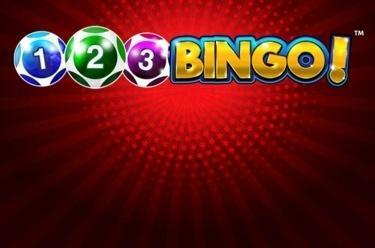 The aim with 1-2-3 Bingo!™ is to complete as many Bingo patterns as possible on the tickets played. The Bingo patterns run on predefined lines. If you have the chance to complete a Two-Line-Winning-Pattern (or more) with just one more number on one of your Bingo tickets 1-2-3 Bingo!™ triggers the Extraball-Mode: In this mode 11 more ticket draws are on offer for you. With every draw you decide whether you wish to buy another ball or add the win to your credit. What's more you can change the stakes during Extraball-Mode in 1-2-3 Bingo!™! Each ball drawn in Extraball-Mode might be a Joker ball. With the Joker ball you decide which number you draw. If you have a Bingo with no more than 26 balls drawn you hit the jackpot! The jackpot amount is displayed in the top right area of the screen. Welcome to 1-2-3 Bingo!™ the ultimate classic of exciting gambling games. You earn your good fortune with each ball and rake in Twists galore during exciting gaming rounds! Thanks to countless extra features you can land a Bingo as well hit the jackpot. Get the balls rolling!